The Honda Accord is a one-of-a-kind vehicle with seating for five, advanced technology, and plenty of safety options. Ask us about the new features available in this sophisticated Accord and take it for a spin around Pooler! 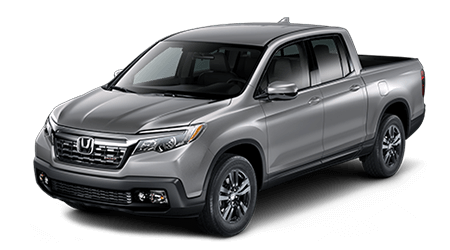 The Honda Ridgeline offers the superior reliability that all drivers need. Whether you need added storage space inside the cabin or advanced performance ratings, the new pickup continues to show up for you. 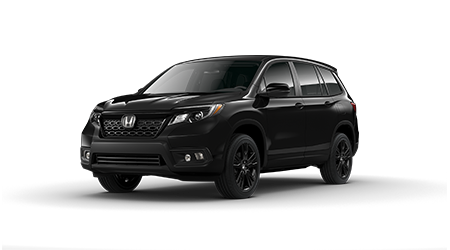 The Honda Pilot features impressive interior features and has room for all of your loved ones. Drivers who enjoy modern-day adventures will get a kick out of the Pilot's added features, like the power tailgate handsfree! The Honda Passport is a like a faithful partner that always has your back. If you need more room for the kids? The Passport has your back! Whether you need advanced safety features or a competitive price tag, the new Passport will not disappoint. The Honda Odyssey is a like a faithful partner that always has your back. If you need more room for the kids? The Odyssey has your back! 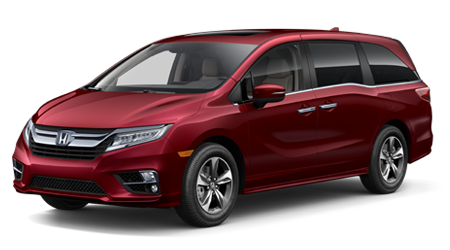 Whether you need advanced safety features or a competitive price tag, the new Odyssey will not disappoint. From Sophisticated materials and innovative touches to Premium technology, the Honda CR-V is an incredibly capable and adaptable SUV on the market. Now with Honda Sensing® standard on all new Civics, you can have peace of mind knowing that you and your family will be safe. Welcome to the online home of Honda of El Cajon Superstore, a family owned and operated dealership that has been serving San Diego County drivers for years with new and pre-owned Honda automobiles as well as an array of automotive services. 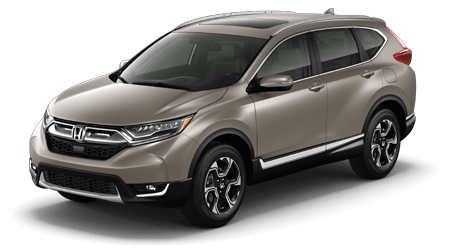 Whether you are shopping for a new Honda CR-V from nearby Chula Vista or looking for professional routine maintenance for your Honda near Lemon Grove, CA, turn to Honda of El Cajon Superstore! Our dealership team invites all local drivers to shop and visit us for their automotive needs. Don't hesitate to contact our Honda dealership's sales, financing, parts or service staff for assistance before your visit. As a dedicated new and used car superstore, Honda of El Cajon Superstore offers a large selection of new Honda models, certified pre-owned (CPO) and used Honda vehicles, plus quality used cars, SUVs and pickups from other popular automakers. Whether you are looking to secure a new or late-model vehicle, know that you'll find quality automobiles at competitive prices here! Beyond our new and used car sales, we are proud to offer comprehensive financing services for car buyers of all financial and credit situations, and we even offer a fresh start program for drivers looking to rebuild their credit. When it's time for your Honda's next maintenance appointment, remember to return to Honda of El Cajon Superstore for top-quality care at our service department! 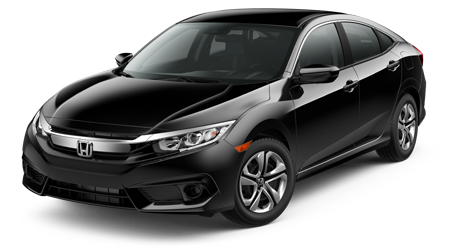 Honda of El Cajon Superstore invites San Diego area car shoppers to explore our selection of new Honda models ranging from the sporty new Civic lineup to the spacious, three-row Pilot SUV and Odyssey minivan. 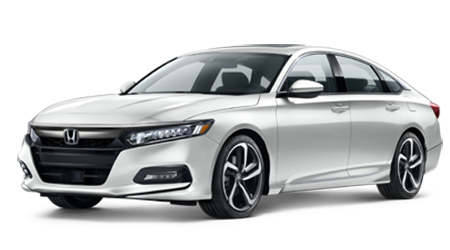 Whether you are after a Honda favorite like the Accord sedan or the adventurous new Passport mid-size SUV, you'll find your Honda of choice in a range of trims and configurations here! 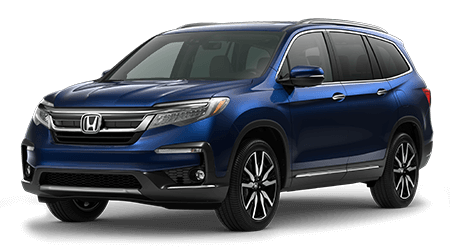 Shop our new Honda vehicles for sale in El Cajon, CA today, either on our website or with a visit to our dealership, and don't forget to find out the value of your trade as you shop for your new Honda! The dedicated finance department staff at our dealership are here to serve San Diego area drivers and families that are looking to secure a quality automobile with a competitive loan package. Whether you are looking to put your excellent credit score to use on a brand-new Honda or are seeking alternative financing packages for your used car purchase, we are eager to assist! With our fresh start financing program, even drivers with less than perfect credit can discover their loan options, so don't hesitate to apply for financing today. Every Honda automobile deserves genuine Honda parts, as only authentic Honda components provide the fit and function that help your car to continue to meet factory specifications. Local motorists can shop and visit the parts center at Honda of El Cajon Superstore for a range of OEM Honda parts and accessories for sale at competitive prices. Our parts department offers convenience online ordering through our Honda parts request form, and professional parts installation is also available, courtesy of our service technicians. When you are looking for an extensive selection of pre-owned vehicles to shop in one place, turn to our used car superstore near Chula Vista and Lemon Grove, CA. Here, you'll discover not only used and CPO Honda vehicles, but plenty of crossovers, SUVs and pickup trucks from other makes as well. We invite you to shop for a late-model used car by price, body style, make, mileage here on our website, and be sure to see our used car specials and cars under $10K if you are shopping on a tighter budget! You can also utilize our car finder form or simply contact our sales staff for assistance with your used car search. Lemon Grove, CA area Honda drivers can always count on Honda of El Cajon Superstore for their routine auto maintenance needs. Our on-site service department is home to Honda factory-trained and certified technicians that are highly skilled in the service and repair needed to keep your Honda performing as intended. With our professional team and ASE certifications, our service center is prepared to deliver a top-quality oil change, brake service, tire installation and more -- no matter what make of car you drive! Contact our staff or book a service visit online now! Before making your way over to our full-service dealership from nearby San Diego, you can utilize many online resources to prepare for your upcoming vehicle purchase, lease or service. For instance, drivers can shop and research new Honda models and vehicles we have in-stock, as well as see the current Honda finance and lease offers. For all of your Honda automotive needs around Chula Vista, visit Honda of El Cajon Superstore!